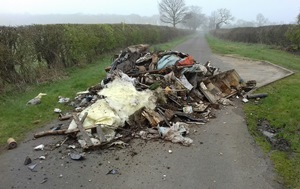 RUGBY Borough Council has issued an appeal for witnesses after seven tonnes of waste was dumped in a lay-by on the Fosse Way. A COUNTRY lane was closed for five hours after fly-tippers dismantled a CCTV camera before dumping a large pile of rubble and rubbish. 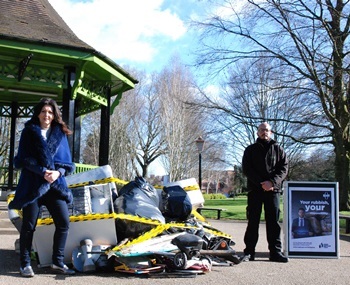 A PILE of rubbish was dumped in Caldecott Park today (Tuesday) to mark the launch of a new campaign to crackdown on fly-tipping. 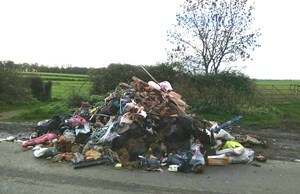 WITNESSES have been urged to come forward after a major fly-tipping incident left the council facing a four figure clean-up bill.